Andie Shepard left Louisville three years ago to become Sanctuary Island’s sheriff, but she still feels like an outsider in the tightly-knit community. That doesn’t keep her from dedicating herself to keeping her constituents safe and to keeping an eye out for anyone who might pose a threat to them. She knows Sam Brennan is dangerous as soon as she sees him, but he may pose a greater threat to her heart than he does to the peace of Sanctuary Island. If Sam’s presence on the island isn’t enough to shake Andie’s world, she also finds herself agreeing to care for her eight-year-old niece, daughter of her special-ops brother who finds out he’s a father just as he is leaving for a new assignment. Caitlin is no ordinary eight-year-old. She is wary, taciturn, and not at all eager to embrace an aunt whom she has no reason to trust. Sam knows that Sanctuary Island is well-named. It has proved a sanctuary for him before when he needed a place to bring one of the abused or neglected horses he has rescued to rehabilitate and give a second chance at a safe and happy life. He also enjoys spending time with his cousin Penny Little, recently wed to billionaire Dylan Harrison (The Firefly Café), and her son, Matt. But Sam has more at stake this time than usual since his method for acquiring Queenie, his latest rescue, will not bear close examination. However attractive he finds a certain redhead, her status as sheriff means he needs to give her a wide berth. Andie and Sam are opposites in many ways. Although Andie is estranged from her emotionally distant father, his philosophy is engrained in her, and experience has proved him right: “Trust the rules . . . They’ll keep you on the right path when your emotions try to send you off in the wrong direction. Hearts can be misled, but the law is constant.” Sam, on the other hand, is “a throwback to another time, when the rule of law held no sway and a man had to come up with his own personal moral code to guide his actions.” They both tell themselves that they need to ignore the chemistry between them and avoid one another, but a certain eight-year-old who trusts Sam and opens her suspicious heart to his horse makes their resolutions impossible to keep. Before they realize it, they have fallen heart over head. Just when love seems linked inevitably to heartbreak, Andie learns that emotions can lead one into new ways of looking at the law, Sam learns that the law can be his ally, and they both learn that an HEA may be within the reach of two wounded hearts. Secondary characters add to the novel’s appeal, and many of them are familiar. Fans of the series will particularly enjoy seeing the growth of Jo’s therapy farm and a subplot that involves the relationship of teen best friends, Tyler McNamara and Matthew Little. And I must add that I loved the fact that when Andie acknowledges that she loves Sam, she also gives him her trust, a trust that holds true when circumstances tempt her to doubt. Hurray for Andie (although I do wish Everett had chosen another name for her heroine, one that didn’t evoke Mayberry—maybe that’s just me). 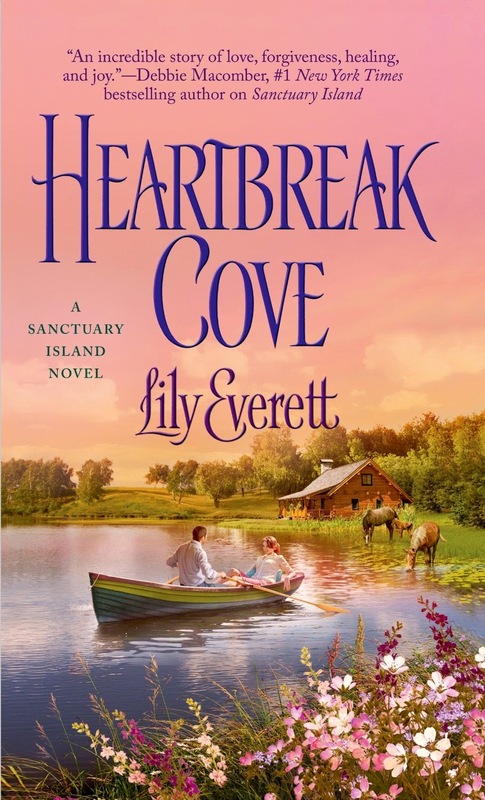 If you like small-town romances in which moments that touch your heart are more frequent than moments that raise your temperature, in which community is experience rather than just a word, I suggest you add Heartbreak Cove to your to-be-read list. I love touch your heart books. Read the first in this series and have the 2nd in my tbr. Thanks for the sneak peek and this is on my to read. Love your review. Convinced me to read it. I haven't started the series yet. It is on my to-be- read pile and I always seem to find something else more pressing. I'll have to move the books up to the top. Thanks for the push. Thanks, Janga! I enjoyed the first book in this series but haven't read the rest. Will need to add this one to my list. It sounds right up my alley.